John Graham is co-chair of the Firm's Bankruptcy Group and a member of the Firm's Litigation Group. 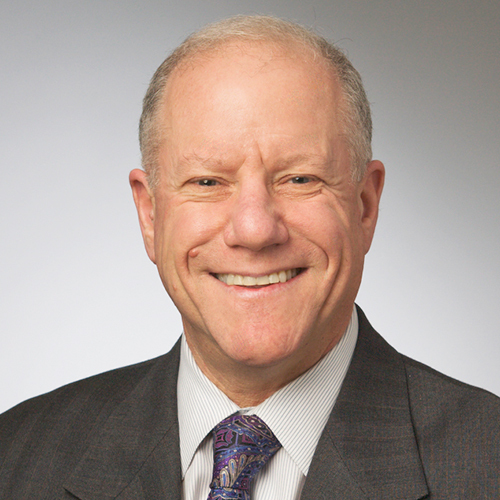 He has served as counsel for over 35 years for a wide variety of businesses, including financial institutions, leasing companies, and manufacturers. Specialization in complex federal and state court litigation relating to business disputes, commercial law, lender liability claims, and Chapter 11 reorganizations, as well as major workouts. Specialization in fraudulent business schemes, Ponzi schemes, criminal enterprises, money laundering, and federal forfeiture actions. Expertise includes problem-solving and litigation under the Uniform Commercial Code, including Article 2 (sale of goods), Articles 3, 4, 5, Article 9 (secured transactions), and Article 10 (personal property leases); defense of security interests; also expertise in real estate secured transactions, the one-action rule, security-first rule, antideficiency statutes, and mixed-collateral foreclosures. Represented Union Bank in its appeal to the United States Supreme Court in Union Bank v. Wolas, 502 U.S. 151 (1991), which resulted in a unanimous decision in favor of petitioner Union Bank. Retained by Visa and Mastercard to represent credit card industry on an issue of national significance regarding bankruptcy fraud standards in Household Credit Services, Inc. v. Christopher W. Ettell; Marla Ettell, 188 F.3d 1141 (9th Cir. 1999). Represented clients in many national Chapter 11 reorganizations, including such cases as Alamo Rent-a-Car, Storage Technology Corporation, NuCorp Energy, Maxicare, and Leisure Technology. Represented the American Bankers Association, California Bankers Association, and the California League of Savings Institutions in their amicus brief to the United States Supreme Court in Timbers of Inwood Forest, 484 U.S. 365 (1988). Represented the Official Committee of Unsecured Creditors in the Parker North American case which resulted in a favorable Ninth Circuit opinion protecting attorney-client privilege between creditors' committees and counsel (Marcus v. Parker, 978 F.2d 1159 (1992)). Represented Crocker National Bank as trial counsel in In re American Mariner, 734 F.2d 426 (1984). Los Angeles Business Journal: 9019BAM!